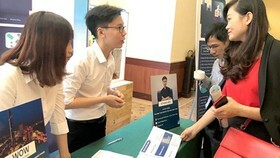 The discussion about innovation and national strategies for Industry 4.0 was held yesterday in Hoa Lac Hi-tech Park. 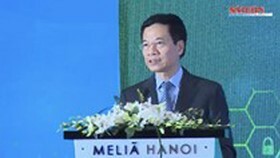 Deputy Minister of Science and Technology Bui The Duy delivered his speech in the event. Photo by Tran Binh. 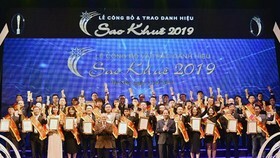 Taking part in the event were 100 young talented Vietnamese working in science and technology fields and representatives of the Ministry of Science and Technology, the Ministry of Planning and Investment, the three giant telecommunications groups of Viettel, VNPT, and FPT. 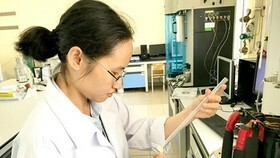 Deputy Minister of Science and Technology Bui The Duy believed that the discussion among scientific and technological experts will offer more collaboration opportunities for the development of science and technology in Vietnam in the near future. Participants of the discussion are 100 young Vietnamese scientists formally trained in leading international universities. They are immensely experienced human resources who are now working in the fields of information technology, biotechnology, platform technologies, manufacturing industries that implement automation, and robotics. 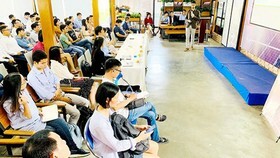 They can skillfully apply the technologies of artificial intelligence, blockchain, big data, cyber security, Internet of Things into the reality, which makes them highly appreciated in Vietnam. 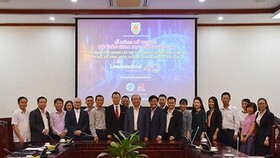 In the event, President of technology company FPT Corporation Truong Gia Binh hoped that these 100 talents were able to suggest a feasible solution for many major issues arisen in the process of technology implementation in Industry 4.0 regarding e-government, smart health care, smart traffic, finance and banking. 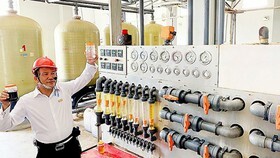 “Industry 4.0 offers a wonderful chance for Vietnam to digitize its operations. 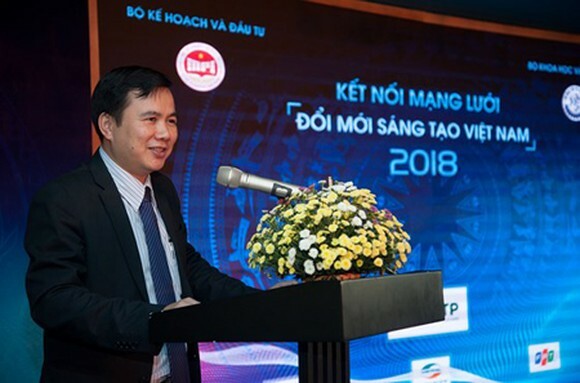 The cooperation between young Vietnamese talents who possess extensive expertise as well as wide experience and technological enterprises which have promising projects to implement the latest technologies into their operation will obviously help Vietnam become the pioneer in the digital transformation”, said Mr. Binh. Recently, FPT Corporation has focused on researching new technological fields like artificial intelligence, IoT (Internet of things), big data, cloud computing, and automatic guided vehicles. 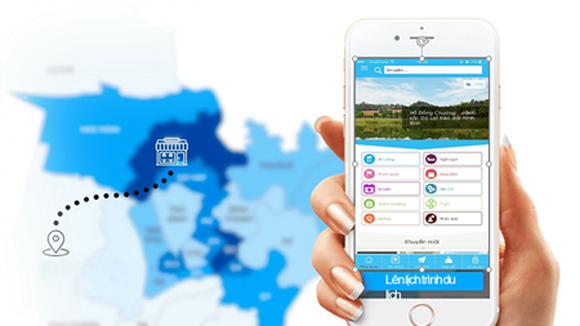 It has also offered the digital transformation service. All allow the enterprise to become an important partner of many large international corporations like Airbus, GE, Siemen, Microsoft, AWS, Daiwa Institute of Research (DIR), Toppan, and Toshiba as to digital transformation. The FPT AI – Conversational Platform, launched in 2017, is now used by more than 4,000 application developers, changing 1.5 million written signatures into voice ones, an equivalence of 27,000 hours of automatic voice. FPT also developed automatic conversation applications for end-users (chatbot) in the fields of health care, telecommunications, and retail sales. 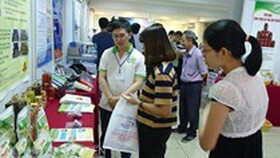 In the event, the three telecommunications groups of Viettel, VNPT and FPT displayed their latest research results in accordance with the expertise of the participating experts to gain more effective collaboration in manufacturing corresponding products.